It was supposed to be Norway’s “moon landing” moment. 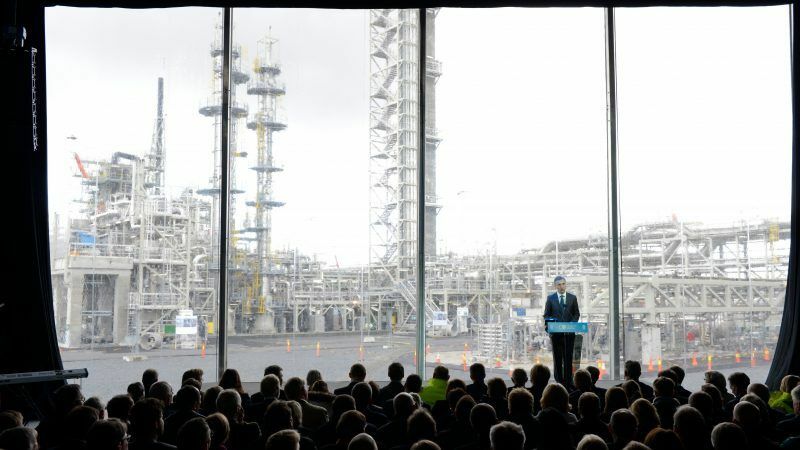 In 2007, the oil-rich Scandinavian country was at the forefront of efforts to develop carbon capture and storage (CCS) technology, building on years of experience gained at its Sleipner gas field where CO2 has been stored safely since 1996. The plan involved the construction of a testing facility, with the aim of rolling out capture and storage technology on a commercial scale seven years down the line. More than ten years later, the Mongstad technology centre near Bergen is the only tangible remainder of the country’s failed “moon landing” attempt. Now, Norway wants to give CCS a new start, hoping that an updated concept focused on developing the transport and storage infrastructure will make the business case stronger and – crucially – attract interest from investors around Europe. One of the main novelties is that the CO2 would be transported to the storage location by boat instead of pipeline. This would allow more industrial facilities to dock in and use the storage infrastructure. “You can just as well take CO2 from the UK shore, Holland, Germany or France and ship it to our CO2 storage facility in the North Sea,” said Trude Sundset, the CEO of Gassnova, a state-owned Norwegian company that pilots the project. 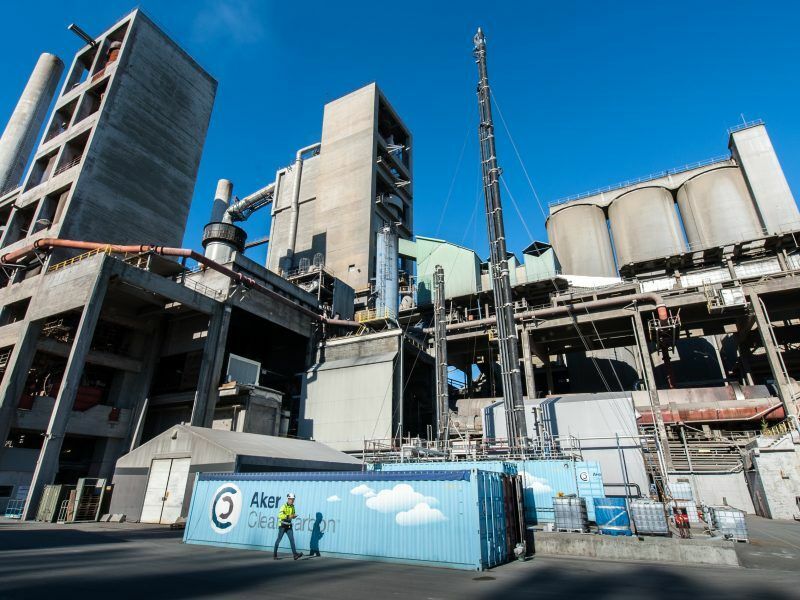 In the demonstration phase, the CO2 captured at a cement plant and a waste incineration facility in Norway would be stored temporarily on site in big containers before it is shipped off the Norwegian coast for injection deep beneath the seabed. Cement producers are not experts at geological storage of CO2, Sundset pointed out. But, with a bit of assistance, they could easily install a carbon capture unit and store the CO2 temporarily before it is collected by boat – a bit like a garbage truck does for household waste. But if the concept sounds more commercially appealing than previous attempts, cost remains a big issue. “CCS is still expensive,” said Bjorn Haugstad, general director at the Norwegian ministry for petroleum, energy and climate. And while the project is on track, “there are potential show-stoppers,” he told a Brussels event organised on 26 September by the Zero Emissions Platform (ZEP), a pro-CCS advisory group. The full-scale demonstration project in Norway is evaluated at €1.6 billion over five years. And even though Oslo sees carbon capture as a key future technology, “it is probably too expensive for Norway to finance a full-chain CCS project without participation from others,” Haugstad pointed out, adding the Norwegian prime minister had raised the issue in talks with the European Commission last June. The Commission has adopted a rather cautious stance on CCS, however. There are no plans at the moment to set aside specific funding for the technology, said Christian Holzleitner, a senior official at the Commission’s environment directorate who spoke at the Brussels event. There are indeed 450 million carbon allowances that will be made available as of 2020 under the EU’s Emissions Trading Scheme to finance low-carbon technologies. At the current price of €20-22 per tonne of CO2, this could represent “a pot of more than €10 billion for the next decade,” he pointed out. But carbon capture is seen in Brussels as part of a broader mix of technologies that could help the EU reach carbon neutrality by mid-century, said Holzleitner, who is involved in drafting an update to the Commission’s 2050 low-carbon economy roadmap, expected to be published on 28 November. “Don’t expect our communication to say this is the way we should go,” Holzleitner warned, dampening expectations about specific backing for CCS under the upcoming strategy. “We want very much to start a discussion,” he explained, saying the Commission will seek input from all interested parties before adopting its final strategy towards end 2019-early 2020. The Commission’s cautious stance on CCS is understandable. Back in 2009, the EU executive put €1 billion on the table to finance six CCS demonstration projects. The objective, agreed by EU leaders in 2007, was to have up to twelve projects up and running by 2015. In the end, none of them got off the ground, mainly due to the high costs involved. 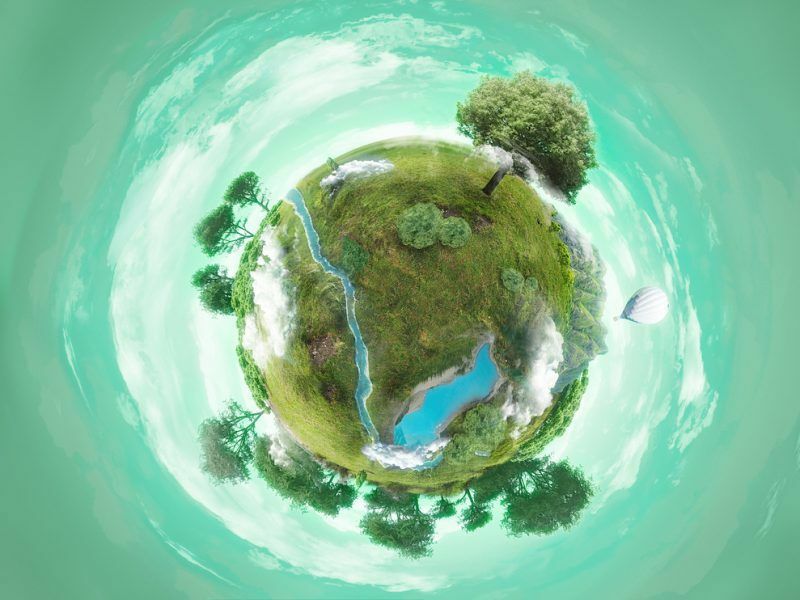 EU member states this week (2 February) agreed how to allocate billions worth of EU money from the bloc's emissions trading scheme (EU ETS) to support renewable energies and emerging technology to capture carbon dioxide and store it underground. This time, the EU executive doesn’t want to get its fingers burned. “We want to better select projects,” Holzleitner explained, saying the Commission will provide funding for low-carbon technology projects that can “demonstrate a business case” and have greater chances of “surviving on their own” after the funding stops. “So we are very much looking for mature projects, for a business case – not only technology demonstration but also a business model,” he said. However, the EU’s lengthy decision-making processes may prove too slow for Norway, according to Haugstad, who sees “a financing gap in the EU’s support mechanisms”. The innovation fund appended to the ETS will only start accepting calls for proposals in late 2020. This means EU money could start flowing in 2022 at the earliest, he pointed out, saying this would be too late for the Norwegian project, which aims to be fully up and running by that date. “EU funds are particularly important in that regard given the strong European dimension of this project,” Haugstad added, saying co-funding would be “a clear indicator of European interest and commitment”. Time indeed is of the essence. 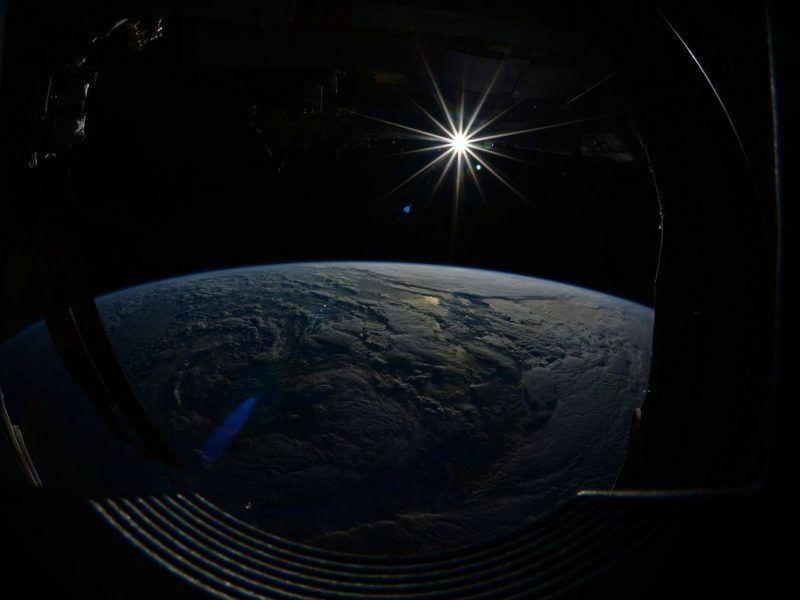 On Monday, the Intergovernmental Panel on Climate Change (IPCC) released a report warning that time was running short to keep global warming below 1.5°C. It listed “carbon capture options in the industry sector” and fossil fuel sector among the carbon removal options available to stay on track. “There is no doubt that CCS is needed to meet the Paris targets,” said Anders Bjartnes, editor at the Norwegian Climate Foundation, a non-profit organisation. “We have to prepare for a future with negative emissions and CCS will be a part of that equation,” he told a group of journalists in Oslo on 4 October. But Norway has its reservations too. The country’s failed “moon landing” attempt is still vivid in people’s memories and the Norwegian authorities – the Parliament and parts of the government – is no longer prepared to give CCS a blank cheque. Public opinion has also started questioning whether the country’s budget would not be better invested in things like schools or hospitals. According to Bjartnes, the “real opposition” to CCS is “the bureaucracy in the ministry of finance” which keeps a close eye on the country’s massive wealth, earned from oil and gas exploitation. “Listen carefully to what they say,” Bjartnes cautioned. “They’re asking the EU for money. And that’s like keeping a backdoor open so they can escape in case things go wrong,” he told the journalists. Editor’s note: This article was produced partly thanks to a press trip financed by Gassnova, a Norwegian state enterprise supporting the development, demonstration and piloting of CCS technologies. Carbon Capture, Storage and LEAK (CCS-LEAK) is a fossil fuel industry scam because there can be no guarantee that any carbon dioxide gas which is stored will not eventually leak into the ocean and into the atmosphere. Worse, CCS-LEAK is an invitation to fraud because it will always be more profitable for companies to leak carbon dioxide than to store carbon dioxide for ever and a day. Norway should instead develop massive pumped hydroelectricity energy storage facilities to offer to its EU neighbours via the European electricity grid – especially for EU countries in the European plain, for which Norway’s impressive mountains and fjords are uniquely suitable. I think it may be disingenuous to denounce CCS on the basis it is not possible from an engineering standpoint, as you infer. Many empty oil and gas wells exist in the world, and the focus needs to be on capping them and preventing leakage at sites we know may already leak. To present the opinion that these wells are completely uncappable, that there is no method of containing the gases therein, offers an unnecessarily pessimistic outlook on what modern engineering may be capable of. We should pursue CCS if it is not solely in the interests of further gas extraction that may eventually suffer from a subsequent funding shortfall, should the cost of CCS pose financial burdens beyond the capacity of fossil gas producers. CCS carries both SMR and carbon-capture costs – and these costs need to be explored in detail and without artifice. However, if this were to operate within an elevated carbon pricing structure its easy to see how this could function effectively. Deposits of gases exist within sedimentary layers and with correct procedures, wells can be capped permanently posing zero hazard.